So I haven’t had much in the way of ridiculous food cravings. Mostly what I’ve wanted to eat since I’ve been knocked up has been squarely in the carbohydrates camp, but that’s not really a craving, per-se. Jenny: Stacey posted a picture of cinnamon rolls and now I want some! T: I’m afraid I don’t know the spell summon cinnamon rolls. T: I’ll get my keys. Ever since then, we’ve pretty much had some type of cinnamon roll on hand- usually a package of the mini ones from the supermarket bakery. I mentioned this at work, and a coworker brought some in for a meeting. Something about the cinnamon in particular is super delicious to me. That would be the only thing so far that I would really classify as a craving. Not bad! http://www.jenniferreneehill.com/blog/wp-content/uploads/2016/04/jrh-logo.png 0 0 Jenny R. Hill http://www.jenniferreneehill.com/blog/wp-content/uploads/2016/04/jrh-logo.png Jenny R. Hill2011-08-22 19:59:012011-08-22 19:57:14Preggonaut Eats: Cravings. On Thursday, Trevor and I went to see Jesus Christ Superstar at the Stratford Festival. I got the tickets because I’d been hearing really good things about the show and the cast- I’m not a fan of Andrew Lloyd Webber or of the show itself. However, I enjoyed myself, which was good! Josh Young, who played Judas, gave a really spectacular performance. I can’t say I was overly wowed by Paul Nolan’s Jesus, but that may be just as much a product of the role as anything. Brent Carver’s Pilate was really memorable, as well as Aaron Walpole as Annas and Bruce Dow’s Herod. The set design is really well done- There are catwalks around the stage, about 8 feet up or so, and these two metal stair units on casters that are reconfigured like crazy to set various scenes. The only thing I found a bit lacking was the ramp that was brought out in the second act for Jesus to walk up and basically stand over the audience- I didn’t feel it really added anything, and I kept expecting Jesus to actually go somewhere instead of just kinda hang out and hover on the end of it. The lighting design was pretty phenomenal. The lightbar around the catwalks that gave context through text or designs or what have you was really cool, and the projections on the slotted wall bit that flew in and out were really cool. The colors (and sometimes lack of) in the lighting really worked well with the setting and the costumes- sometimes it felt like Mary Magdelene and Judas were the only color on the stage. Even with all those good things going for the production, it still didn’t bring me around on the show itself- it still has all those things I don’t like, but in this case, a lot of good stuff still kept me really interested all the way through. So Trevor and I booked some time off, and had been trying to figure out where to go for a vacation that wouldn’t be too difficult to get to or get back from (so driveable or within a short flight distance) and that we wanted to go to. Turns out we’ve been to a lot of the areas that meet those qualifications. We were thinking about heading back to NYC or Montreal (which we’ve been to before, but are big enough to have plenty of things left we haven’t done). 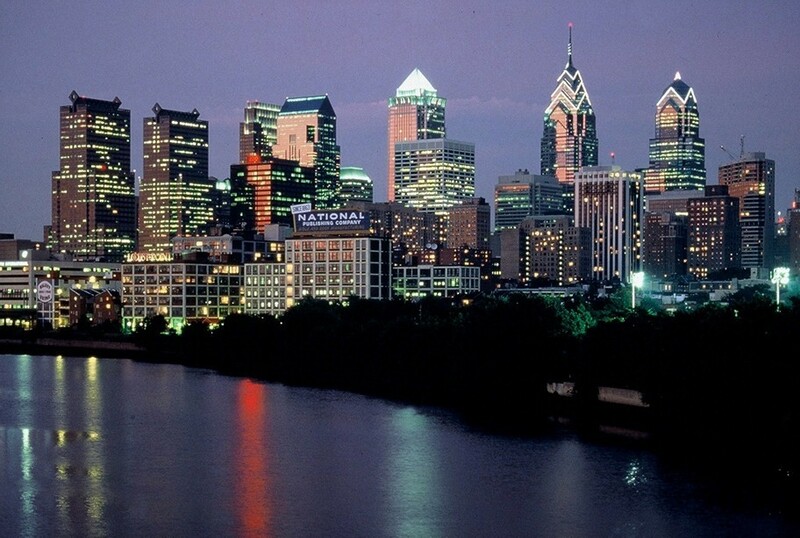 We were just on the brink of deciding on NYC, when we started looking at Philadelphia (which we’ve been through, but never properly visited). 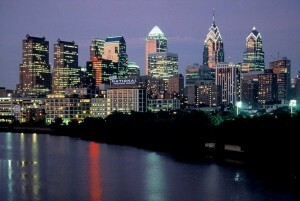 So we’re going to Philadelphia! There’s lots of neat things there, like a big aquarium, and if we do decide we want to take a day trip to NYC or DC, either one is just a train ride away. We’re staying in a suburban hotel that’s not too far from a subway station, and we’re staying there the whole trip, which is unusual for us- we usually spend 3 or 4 days in a city and then go somewhere else, when we’re on a vacation. 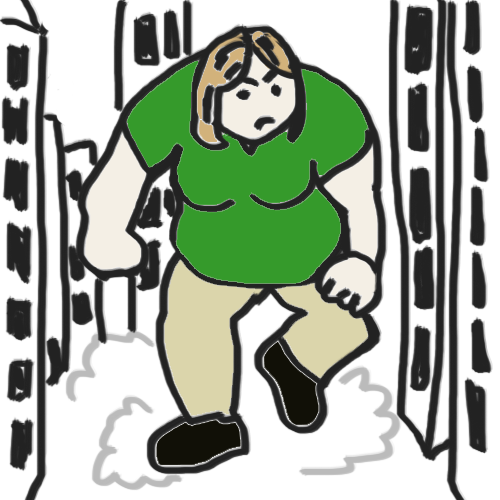 Ever since creating my alter-ego, Preggonaut, I have had this visual in my head of what Preggonaut looks like crushing cities. So I drew it. I am no great artist, but you probably get the idea, haha. Also, there is a foghorn noise that I have mentioned. It sounds like this: Foghorn.